As we prepare to send the kids back to another school year and prepare for the changing of seasons, I’ve been praying over how to pray for them. As they grow, you move into uncharted territory with these not-so-little-anymore people and prayers that once seemed enough don’t feel the same anymore. Their world gets bigger, their circles grow, they aren’t safely sheltered anymore but very much exposed. The idea of sending them out to the world is terrifying at times. My instinct all summer was one of “prepare, prepare, prepare…” for whatever that’s worth. Prepare for the good and the bad because they both will come. And so we do. We impart what we can to them and pray some of it sticks. It’s a crooked world. We can live holy and pure in the midst of it. It’s a dark world. 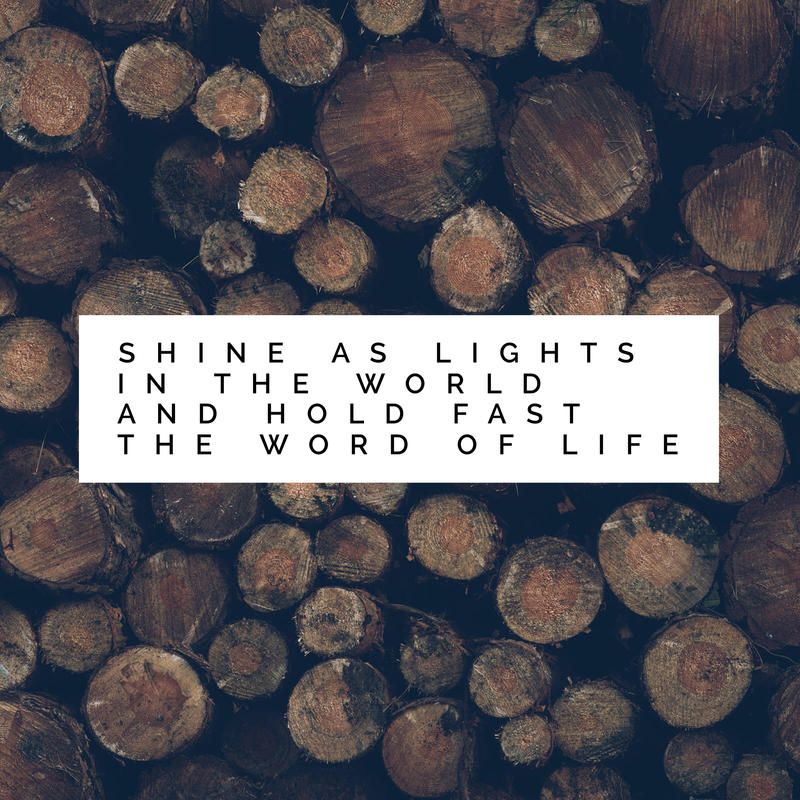 We are called to be the light. How do we do it? We hold fast to His truth. That’s worth more than all my well-intentioned lectures or lessons. It’s not from a fancy best-selling book of the month, it isn’t dressed up or altered in any way. It’s just God’s roadmap for us. I love the simple. Love God. Love each other. Hold fast His words. Be the light.